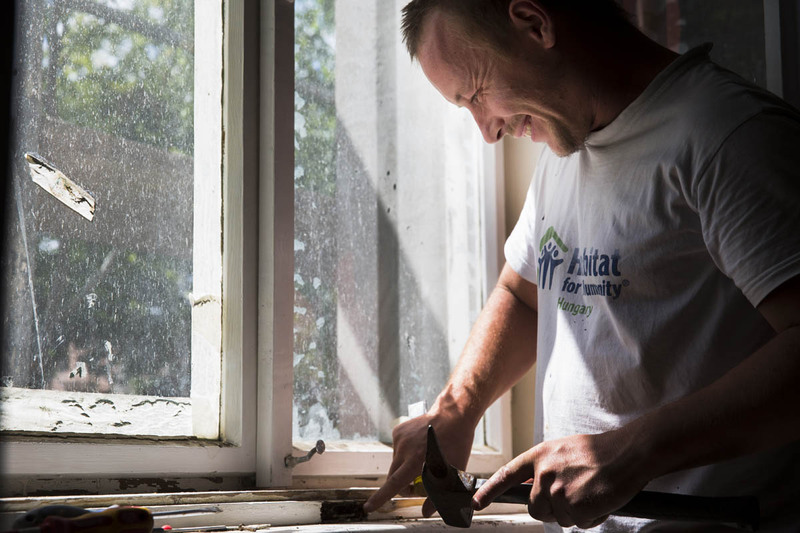 Construction Manager Sandor Kerekes from HFH Hungary helped a Global Village team to rehabilitate the Bulik family's home. Erika Bulik (48) is a widow living with her mother, her five children and a granddaughter. Her youngest daughter Ilus (17) is in high school, Vera (20), Betti (22) and Ricsi (22) go to trade schools, and her oldest son Dani (24) already works. Betti also has a daughter, Zoe (4). For years their house had no insulation, which resulted in cold winters, high heating costs, and mold. A Habitat Global Village team helped to insulate their home.